Eco-informed material choice (ISBN 978-0-12-385971-6). It was good to see that there was so much interest in this talk. In his talk, he suggested a framework to developing sustainable technology, and demonstrated the key points using an example of electric cars. His full abstract and biography sent out by the Material Science Department at EPFL can be found below. There is no “one fits all” approach, for example with the electric cars, short term 7 year roll-out in the UK would not be feasible. With the demand, Li production capacity will be 150% of the current amount. Where is Li produced? The recycling capacity of Li batteries will take 25 years to cover the number of cars. Where will be the charging stations? Will people want to switch to these vehicles? Then, just as we were feeling hopeless, he suggested us to ask “are the objectives appropriate?” – then he went through the layers again if we are to consider electric buses instead (buses have regular routes, which can have defined number of charging stations, etc.). Our designs and design projects can benefit from thinking through these layers. Abstract: A “sustainable development” is one that contributes in an equitable way to human welfare, does so in a way that minimizes the drain on natural resources, complies with the rule of law and is financially viable. Many academic, civil, commercial and legislative projects claim to do this, and many of them are materials-related. Examples are: developing biopolymers to replace those derived from oil, imposing carbon taxes, promoting bamboo as a building material, and subsidizing domestic PV. We refer to them as “articulations” of sustainable development. But how are they to be assessed? There is no simple, “right” answer to questions of sustainable development. Instead, there is a thoughtful, well-researched response that recognizes the concerns of stakeholders, the conflicting priorities and the economic, legal and social constraints of a technology as well as its environmental legacy. This talk will describe a framework for exploring sustainability from a Materials perspective. The aim is not to define a single metric or index of sustainability; rather it is to improve the quality of discussion and debate on projects that claim to be sustainable developments. This suggests a methodology for the sustainability-analysis of products or projects, supported by a new CES Edu database, SUSTAIN, that provides some of the necessary inputs. The method and database will be illustrated by applying them to a contemporary development – the electric car. Biography: Mike Ashby is now Emeritus Professor in the Engineering Department at Cambridge University, having previously held a Royal Society Research Professor at the University of Cambridge, and a Royal Academy of Engineering Visiting Professor at the Royal College of Art in London. His pioneering work encompasses all types of materials (ceramics, metals, polymers, glasses, wood, ice, etc.) and of mechanical tests (deformation, creep, indentation, wear, etc. ), and outlines the fundamental roles and interactions played during deformation by dislocations, grain boundaries, solid solution elements and precipitates. He then applied these concepts to engineered materials and processes, and devised selection tools for applications. His contributions thus constitute a unique bridge between materials science and materials engineering. Mike Ashby is the author of some 250 papers and a number of books on materials, with over 28’000 citations (H index 87). 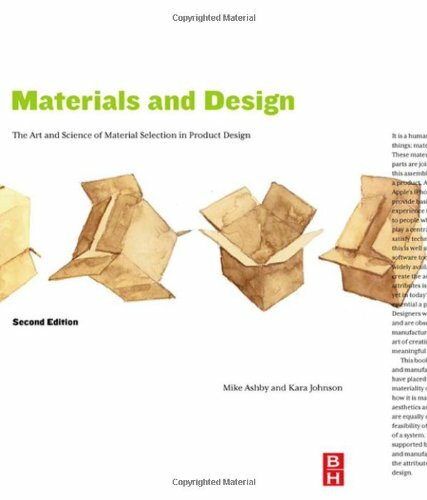 Among the more recent books are “Cellular Solids” (1988, 2nd edition 1997), “Materials Selection in Mechanical Design” (4th edition 2011), “Metal Foams – a Design Guide” (2000), “Materials and Design – the Art and Science of Materials Selection in Product Design” 3nd edition (2014), “Materials and the Environment”, 2nd edition (2013) and “Materials: Engineering, Science, Processing and Design” 3rd edition (2014). Great piece. Mike Ashby is a fantastic and progressive thinker on the environment. We believe that many people are ignorant to issues on the environment as it’s “not going to effect us” which is a terrible view to hold. We really relate to Ashby’s first and third points to Articulate and Research. Research needs to be conducted in order for people to understand correctly when knowledgable people articulate the pressing issues posed to the environment. Great article and keep up the education of others!